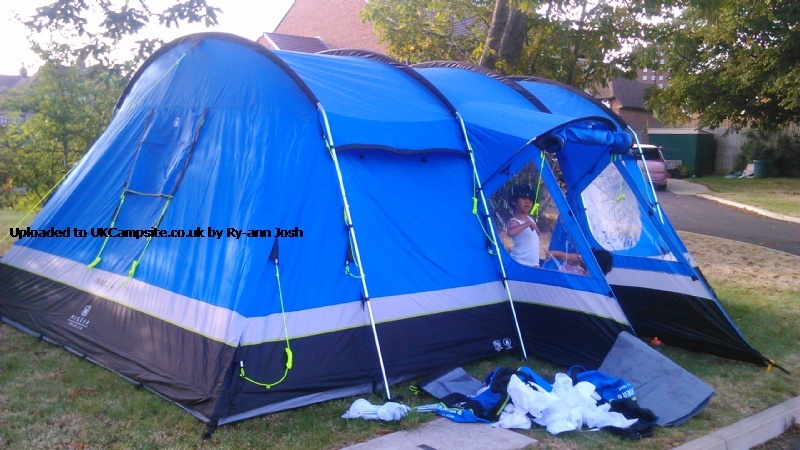 Fantastic tent. We are a family of 4 so usually sleep 2 + 2. 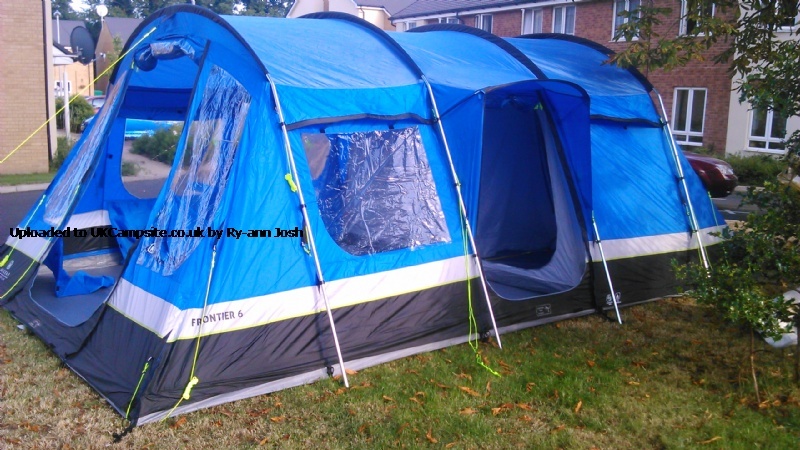 I think it would be a bit snug with 6, my daughter is only 4 and we had her friend sleep over in it on our last holiday and easily fit 5 in. Strong sturdy poles, quite heavy to carry! We bought as a package with carpet and porch. Have just spends a week in it in France and I could happily stay in it for longer. It did get extremely hot inside, ever with toros and vents open but I think most tents would in that weather. We had considered the frontier 8 but I'm glad we got the 6 as I think we could've been restricted ob pitch size, had to pay for bigger pitch with frontier 8. It's really easy to put up, I find the porch the hardest part. We are usually totally set up, inside and out and completely un packed, reclining with beer in under 2 hours, which in no mean feat in hot temp with a 4 and a 2 year old 'helping'. It's very tall, I'm 5ft 11 and can only just reach to hang the light up! 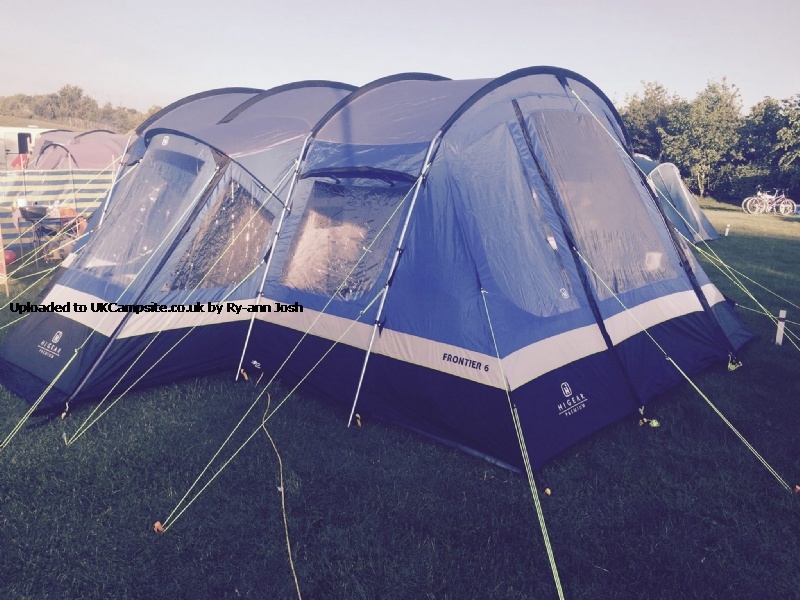 We are serial 'glampers' and wanted a tent offering plenty of room just for two with lots of space for all our luxuries! We've used it in all types of weather and it's stood up to it all, so far. Although it says 6 berth I would think it is more of a 4 berth. For us it is palatial! Comes in 2 bags, 1 for tent and 1 for steel poles, heavy? yes but it needs to be for standing up to UK summers! Because of the weight it needs at least 2 people to erect, but is pretty straight forward. Peg the rear corners, insert and attach poles and pull the front poles and up it goes. One person to hold position while the other straightens the rest of the poles and pegs the front. The rest is simples! The bedrooms can be joined into one by unzipping the central partition, plenty of room for a queen sized airbed and bedside cabinets and still lots of room to move about in. There are storage pockets in either front corner and on the center outer wall. You can take half the bedroom out altogether if you wish. The main living area is large and airy and well lit in the day. With 2 tables, chairs and our kitchen there is still loads of room. There are 3 entrances, the main one can be turned into a porch. One of the side entrances is a storm porch, handy as an extra storage area and in the night as an 'en-suite' ;-). All doors have a separate mesh to keep out the creepy crawlies and flies and all the vents are also protected with mesh. 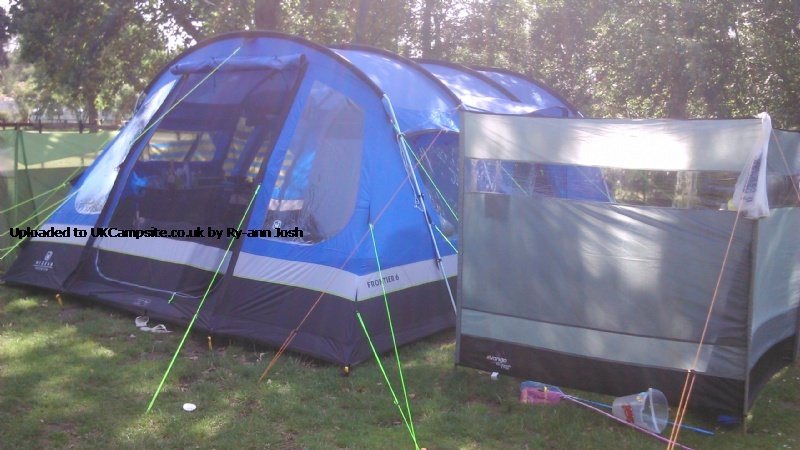 We bought the tent and carpet when it was in a sale at Go Outdoors and we've been really pleased with it. 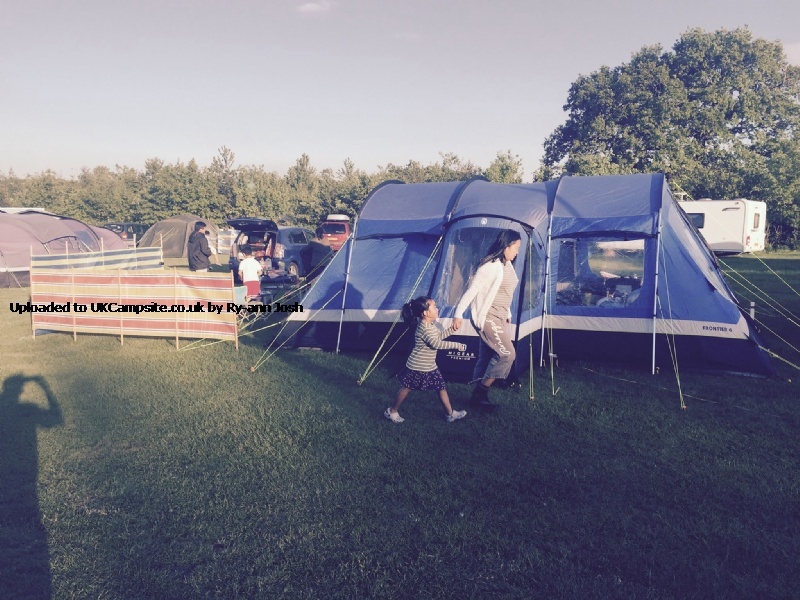 Whether like us you are glampers or a family of 4 we'd highly recommend it. 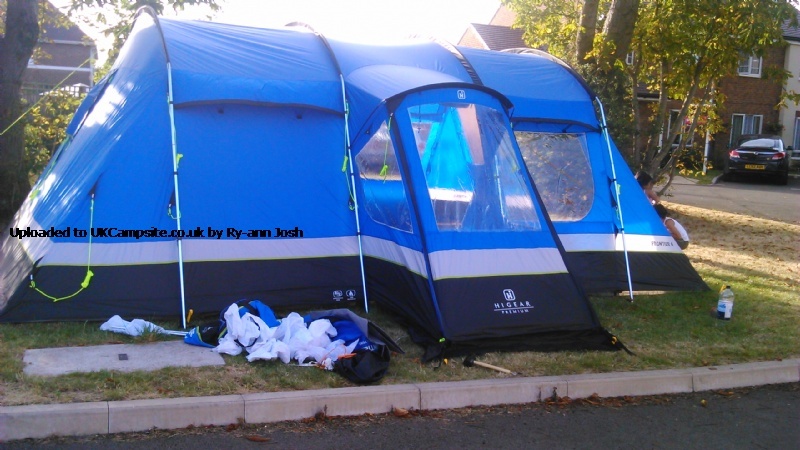 This tent did everything we needed so for that, I give it's overall rating 10/10. There is so much room, in the sleeping area & in the living area that you didn't feel on top of one another. 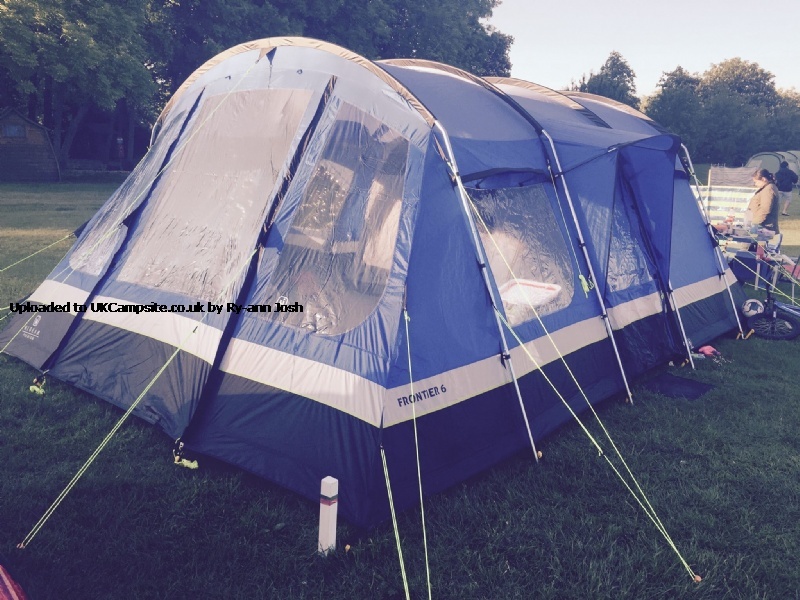 The carpet makes a huge difference & I would say is a must for this tent. It helps to add warmth to it & give a more cosy feel. The panoramic windows are superb, they let so much light in. The sleeping pod can be transformed into one single pod, I suspect when you do that, you could possibly fit 8 adults in the pods. I really can not fault this tent at all. Yes the bag is big & heavy but I suspect all tents in this style are. 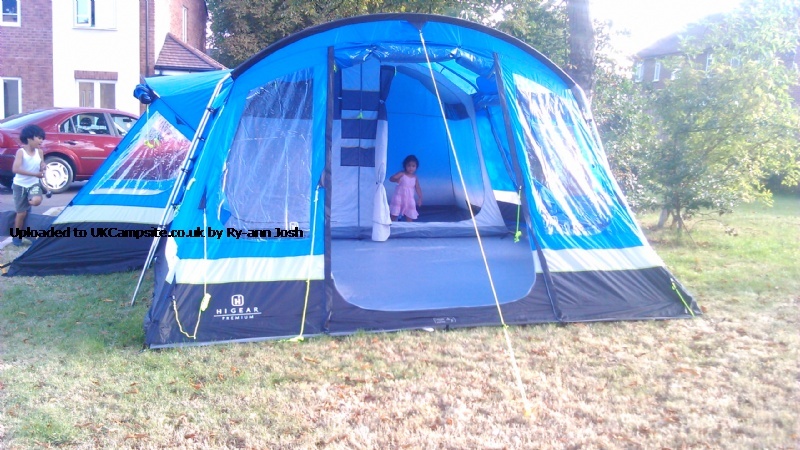 If you are looking for a good sized family tent, this is your tent. I personally am very pleased with this tent. Add your review of the Frontier 6! 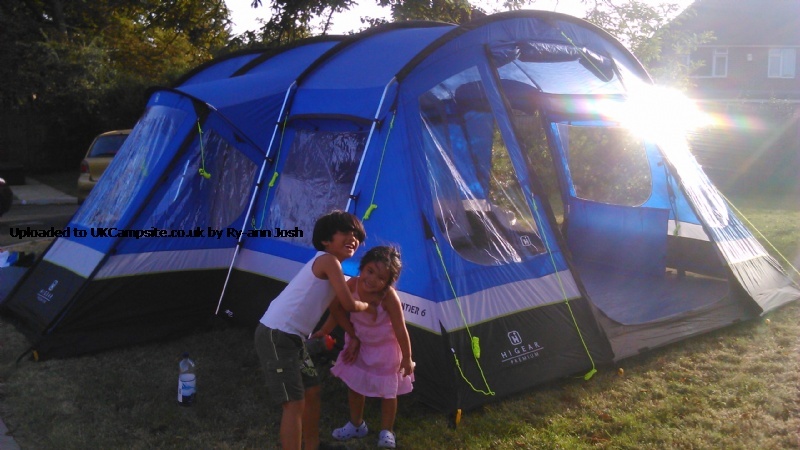 With the perfect blend of size, quality and ease of use, the Hi Gear Frontier 6 is ideal for family camping. Airy and spacious, it has plenty of room for you, your gear and your furniture, and is tall enough for you to stand inside without you having to stoop. 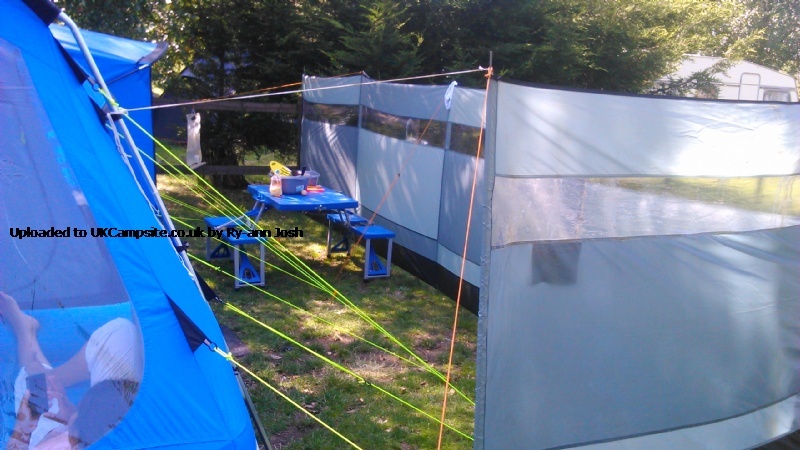 Stong steel poles give the tent great rigidity, but it''s still very straightforward to pitch. The front door can be extended using the included steel poles to form a canopy, giving you more room to spread out, and extra shade from the sun. Large panoramic windows throughout (with roll up curtains) give you a great view out and let light in, while mesh venting (that can be closed down at night or in bad weather) lets air flow freely. 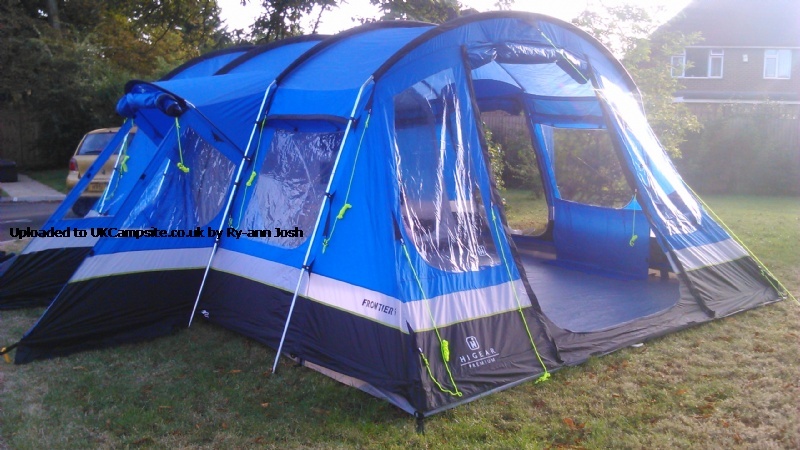 The large full-height breathable bedrooms also use mesh venting, and there are multiple tent tidy pockets so you can keep your gear tidy and organised. An enclosed and sheltered side porch entrance is great for when it''s raining, and also doubles as an extra area for storing kit. 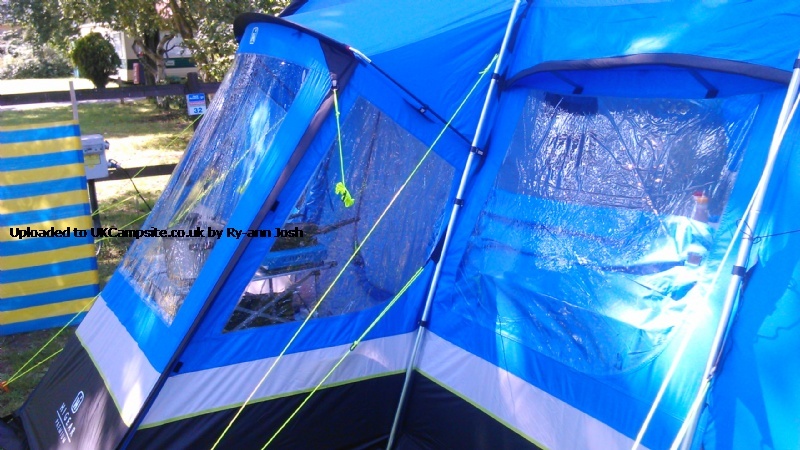 And if the heavens do open, you''ll be dry inside due to the flysheet''s very waterproof 6000HH rating. 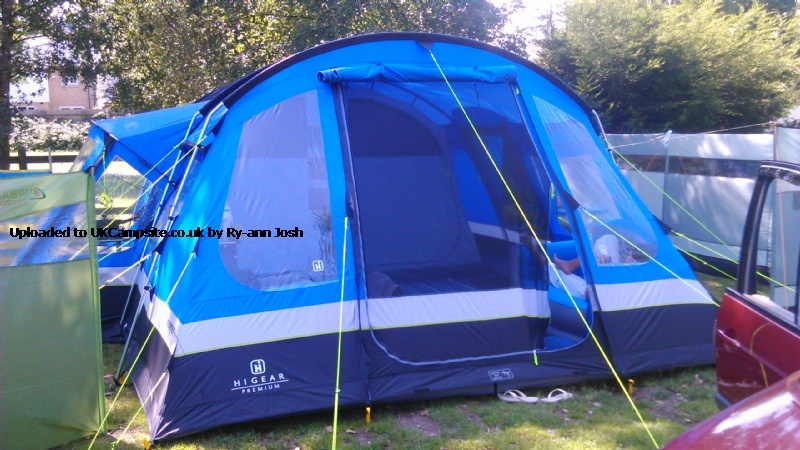 And you can make your camp even more roomy by extending your living space with the Frontier 6 Porch, add warmth and comfort underfoot with the Frontier 6 Carpet, and help to protect and insulate the floor with the Frontier 6 Footprint.